Calaméo - What pragmatic strategies for harm reduction ? 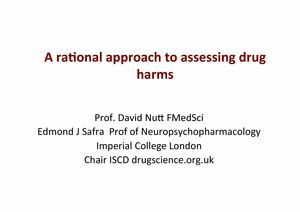 What pragmatic strategies for harm reduction ?
! "#$%& $("$))#&$*+",&"$--. --/ 0"1#20" +$#3-" ! ! " "#$%&! ()*+!,-. !/01+23*!! 4+5$6+!7!2(%#(!!"#$%!$%!,1-#$89:3;$8;(#5(3$<$=:! >581#*(<!?$<<1=1!@$6+$6!! ?;(*#!>2? !+#-=93*1631&$#=&-A! !